Yo dawg, I hope you like history, because we put some history inside of your history!! We hope you enjoyed playing as an Assassin because you are going to cast that mantle to the side and pick up the mantle of the Templars. 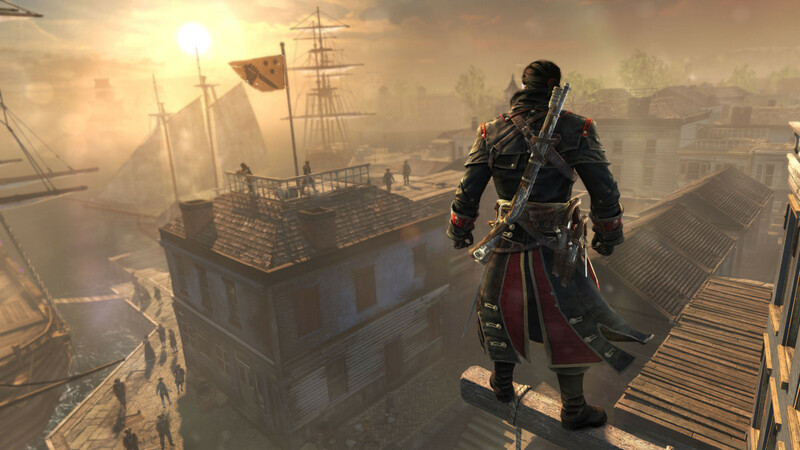 If you liked any part of Assassin’s Creed – Black Flag, you are going to LOVE Assassin’s Creed Rogue. It has all of the updated gameplay and refined graphics on the last gen consoles, you get a great story that ties Assassin’s Creed Rogue, Assassin’s Creed Unity, and Assassin’s Creed three and Black Flag together. The ending is almost jaw dropping as you wind up perpetuating all of these games, even though they have already happened. In the short of it, we loved it, so go throw your money at Ubisoft to help them build their Evil Empire. While we’ve blown all of our hard earned cash on this podcast and can’t afford the new Mad Catz L.Y.N.X, which should be super cool, these guys are seriously asking $300 FOR A CONTROLLER!!! They did jam a full Transformer into a nifty little hand-held device, but Jesus Christ, $300 bucks is a car payment. Outside of having a controller that is “more than meets the eye,” the Consumer Electronic Show (CES) is going on and we will all soon be getting a wifi teapot. We really want all of banked DOS games over at archive.org, but we have no success. The new Arkham Knight game potentially has some spoilers floating around out there, but we won’t ruin it for you if you’re reading this and not listening to the episode. Anyway, we hope that you have picked your side, Assassin’s or Templars, and sit back and enjoy Episode 41 of the Casual Cowards of Gaming. ..oh, also more Star Wars and Mega Man talk.